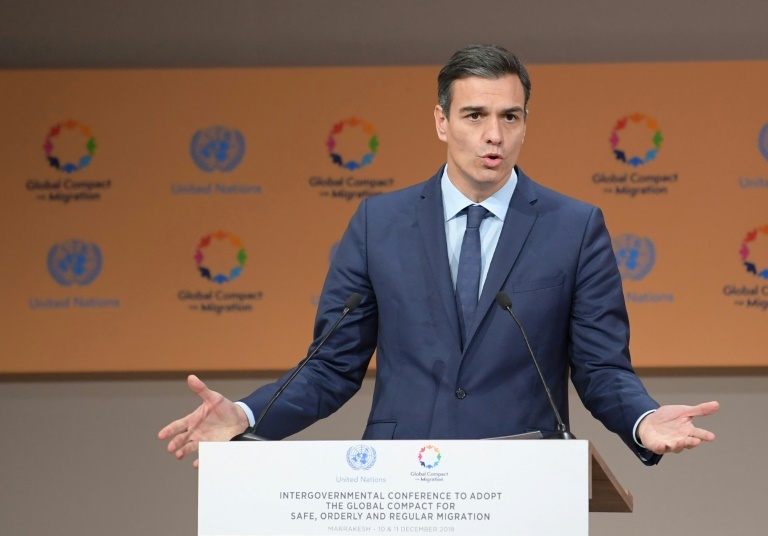 Spain’s Prime Minister Pedro Sanchez said Wednesday his cabinet would approve next week a 22 percent increase in the monthly minimum wage to 1,050 euros ($1,192) in 2019. The increase, “the biggest since 1977”, will be submitted to a cabinet meeting in Barcelona on December 21, he told the Spanish parliament. “A rich country can’t have poor workers,” said Sanchez, who is widely expected to call an early general election in Spain next year. The measure was part of his minority Socialist government’s draft 2019 budget unveiled in October but which he is struggling to pass in the parliament, so it will now be approved by decree. The announcement comes after French President Emmanuel Macron unveiled Monday a 100 euro ($113) per month increase in the French minimum wage from next year in a major concession to the “yellow vest” protests which have roiled the country over the past week. After years of austerity policies that had been imposed to cope with the fallout from the 2008 global financial crisis, governments are now under increasing pressure to ease the purse strings, especially for the lower paid segments of society. Sanchez’s Socialists in Spain control just 84 seats in the 350-seat parliament, the smallest number for a government since the country returned to democracy following dictator Francisco Franco’s death in 1975. Sanchez negotiated the draft 2019 budget with Spain’s far-left party Podemos, which controls 67 seats in the parliament, but he would still need the support of Catalan separatist parties in order to pass the spending plan, but they have steadfastly refused. The government estimated that the minimum wage hike will cost the state 340 million euros per year.